Although the first printing press was invented back in 1450, modern graphic design came about in the 19th century. Needless to say, the field has evolved tremendously since, and advertising turned it into the profession we associate the term with today. Due to the progress of technology, as well as the consumer market as a whole, talented people of all ages now have more job opportunities than ever before. With a well-written graphic design cover letter and some experience in the field, you will certainly be able to follow any of the following ten career paths. Just remember that HR managers usually pick the candidates whose cover letters stand out over those that have slightly more experience because they show more enthusiasm. UX/UI design has to do with user experience and interfaces, and it focuses more on the technical aspect of the profession. While many are drawn to the visuals behind such a career, this particular profession is an excellent opportunity to develop skills that are more closely linked to programming, coding and other methodological factors. A successful and attractive website relies on more than just UX and UI. In this respect, graphic designers can easily turn into web designers that provide pages with the aesthetic sensibilities that many users prefer. After all, a website shouldn’t only work beautifully, but look the part as well. This is where the visual aspect of the occupation comes in strong. For graphic design graduates that want to combine their traditional skills with contemporary computer processing, a career as a 3D illustrator is perfect. This allows creative employees to coordinate and complete projects that cover a wide array of subject matters, which is a great opportunity for improving aptitudes and becoming successful in this branch of artistry. Fortunately, the vast majority of the population hasn’t given up on reading just yet. And even though many of us own Kindles or other types of e-readers, physical books are still very much appreciated. A capable book cover designer can make all the difference in the world in this respect, as an alluring presentation always helps sell more copies. Designing product packages is in the same vein as creating book covers. Nowadays, companies are coming up with marketing campaigns that are more and more innovative with each passing day. This requires the promoted item to rise up to the challenge and meet consumer expectations, and an aesthetically pleasing presentation plays a huge role in that. According to Artefact co-founder and principal Gavin Kelly, augmented reality design is the next big step in the professional evolution of today’s skilled graphic designers. The field of AR is constantly evolving and expanding, which creates an increase in demand as far as positions are concerned. These pertain to a variety of disciplines as well, from apps to healthcare and back. Experienced graphic designers have the opportunity to evolve as an art director that oversees the activity of an entire team of creative employees. Aside from the regular professional aptitudes involved, the person appointed for this job also needs to possess a keen eye for detail, so that he or she can double check every single project before it makes it to the client. The role of a creative services manager is similar to that of an art director, but it can cover more bases depending on the company in question. Generally speaking, this person will oversee an extensive team of creative professionals, as well as act as a liaison between them and senior management. It is an important job that only the most experienced graphic designers can do. Many professionals in the field of graphic design have evolved towards teaching careers up until now. This is especially achievable for older individuals who have spent decades in creative fields. When you possess such a vast amount of knowledge, you can achieve huge satisfaction from passing it on to the next generation of talented young men and women. There is a growing interest in street art and everything that has to do with it, which is why many budding graphic designers choose to become muralists. Modern cities from all around the world commission the work of such artists to beautify the facades of old buildings and bring a creative touch to everyday life, so why not give it a try? 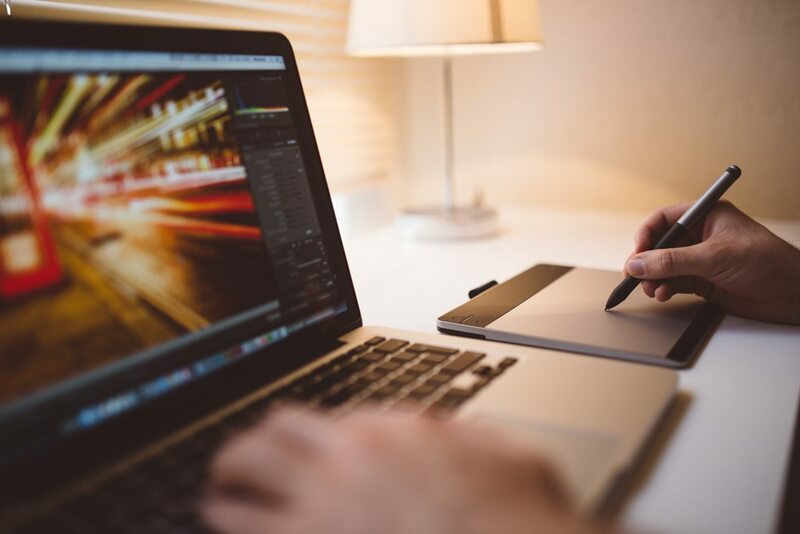 Talented graphic designers nowadays have plenty of opportunities to advance in their respective fields, as well as take on variations of the job. What is more, the progress of technology has opened incredible prospects as far as combining visuals with programming and coding. All in all, the future looks promising for creative employees.